Curve Fever Pro release at 14:00 CET! 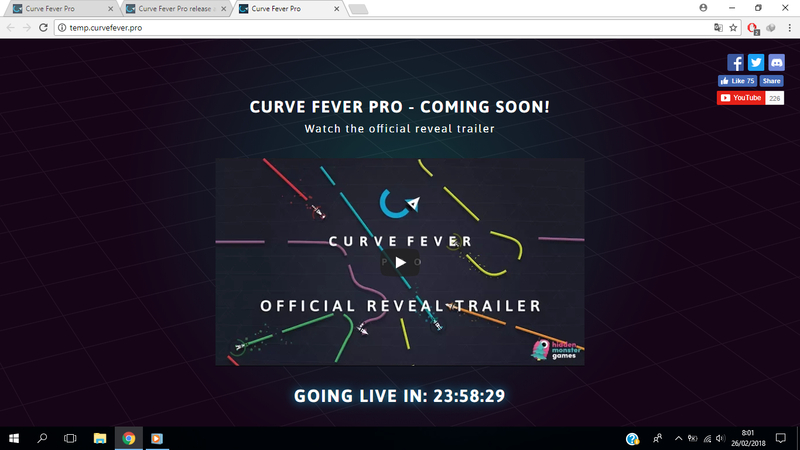 We’re super excited to finally release Curve Fever Pro tomorrow! To ensure that you don’t call in sick at the wrong time, we’d like to let you know WHEN you can start playing. Curve Fever Pro releases Monday, February 26th at 14:00 CET! Get ready to get your curve on! Curve Fever Pro - Coming soon! So it’s out now, this is to tell you that it’s out now!